I experienced a moment yesterday at church that had me thinking I was having an out of body experience, a glimpse of Youth Ministry Nirvana. I was shutting down the church, as I normally do, checking doors, clicking lights etc. and as I walked into the sanctuary I saw a group of young adults and students practicing a drama for Easter. I did not even know they were going to have a youth drama for Easter. My first reaction was to ask what they were doing and why didn’t anyone tell me. They didn’t ask my advice, they didn’t ask me to help, they didn’t need me. Then I heard a voice inside tell me to “leave it alone, walk away.” I asked one of the parents, who was actually in the drama, to shut off lights, etc and she happily agreed, but that was just the beginning of the journey through my “third heaven”. I headed toward the youth room and I waled into another heavenly moment. I have an awesome young lady who work swith our worship band and they happen to have practice that this day. Instead of everyone going home after church she hung out in the youth room, along with a few students and a parent, and they were playing Apples to Apples. No one told her to do that, she just did it. I came over to the table and greeted everyone and my young leader gave me an unexpected side hug, and then I left. I left the youth room to them. They did not need me. Community was happening and I did not have to instigate it or lead it. What did I do next? I left. I went home and took a nap. I got home and told my wife and she said, “Maybe what you’ve been doing (teaching, saying, training) is paying off.” This unexpected moment was a blessing from God, and all I had to do to enjoy it was to get out of the way and keep walking. I should do more of that. 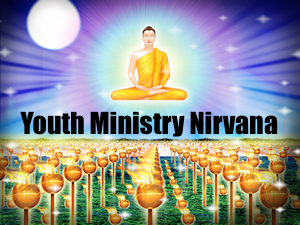 What’s your youth ministry nirvana?